It’s an unforgettable experience, whatever you’re watching. 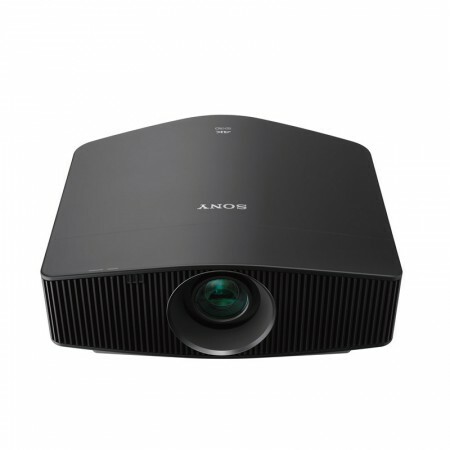 An ideal choice for your home cinema room, the VPL-VW760ES brings movies to life with extraordinary cinematic detail, color and contrast.This compact projector combines an advanced laser light source with the same 4K SXRD panel technology found in Sony’s professional cinema projectors.Crisply detailed native 4K images (4096 x 2160) offer four times the resolution of Full HD, pulling you right into the heart of the action with unprecedented clarity. You’ll experience fabulously rich cinematic colors, smooth motion and spectacular contrast. Generous 2,000 lumen brightness assures vibrant images, even in well-lit rooms. The ultra-pure, highly efficient laser light source delivers consistent image brightness, without the gradual drop-off in light levels experienced with lamps. You’ll also enjoy reduced operating costs compared with conventional projection systems, and less worry of sudden lamp failure during the show. You’re futureproofed with compatibility for the latest 4K standards, including High Frame Rates and HDR (High Dynamic Range) – so you’ll get the very best out of today’s content, and tomorrow’s. With flexible installation due to its compact size, simple setup, fuss-free auto calibration and low-noise operation, the VPL-VW760ES 4K Home Cinema Projector puts you in control of the ultimate entertainment experience. Featured in Sony’s digital cinema projectors, advanced SXRD (Silicon X-tal Reflective Display) panel technology delivers native 4K (4096 x 2160) resolution images, with more than four times the detail of Full HD. Fine details are wonderfully clear and natural, without jagged edges or visible pixels. Latest SXRD 4K panels deliver even better contrast, as well as native 4K resolution. SXRD projection offers rich, inky blacks, as well as clear cinematic motion and image smoothness. Improvements to the panel’s reflective silicon layer now mean even better light control, for precisely reproduced shadows and blacks. With more than four times the resolution of Full HD, native 4K offers 8.8 million pixels (4096 x 2160) for an incredibly lifelike image with the same resolution defined by the DCI (Digital Cinema Initiative) for cinema distribution. See corner-to-corner clarity and watch movies from much closer than you would in Full HD. A dynamic contrast of ∞:1 brings every scene to life with exquisite detail and realism. Laser light output is adjusted dynamically depending on content of the scene, achieving both deep, inky blacks and vibrant colours. “The ultra-pure, reliable Z-Phosphor laser light source lets you enjoy exceptional 4K pictures with consistently uncompromised brightness levels. You can also enjoy up to 20,000 hours of uninterrupted operation, with no lamp replacement and virtually zero maintenance. Enjoy the action with up to 2,000 lumens brightness from the laser light source, for vibrant images on screens up to 762 cm (300″). Get the most from today’s UHD Blu-ray and streaming services with High Dynamic Range. HDR video offers an expanded brightness range that delivers more realistic, high-contrast images and brilliant colours. Compatible with both HDR10 and HLG (Hybrid Log-Gamma) formats. 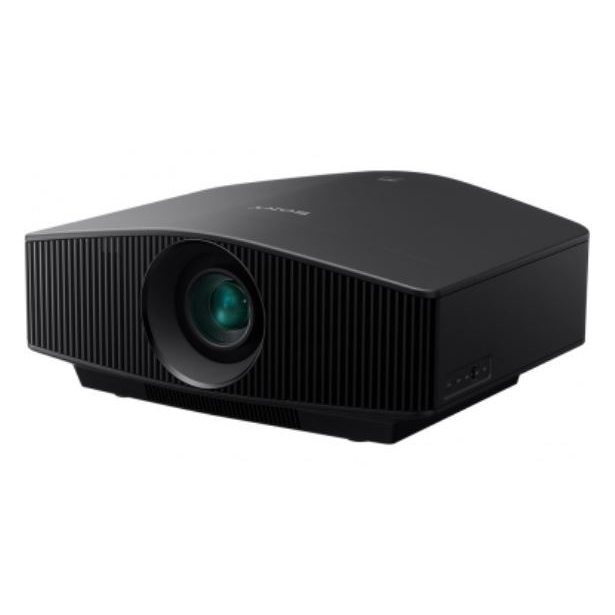 Sony’s home cinema projectors reproduce colour and contrast that’s faithful to the creator’s intention. Exclusive Reality Creation technology analyses images right down to the pixel level. It uses powerful pattern-matching algorithms developed over years of movie production to enhance image crispness without increasing digital picture noise. It also upscales existing full HD Blu-ray Disc™ and DVD movies to near 4K quality. Discover true-to life colours and tones. The VPL-VW760ES incorporates TRILUMINOS colour, reproducing more tones and textures than standard projectors. Hard-to-reproduce crimson reds, aqua blues, and emerald greens are displayed beautifully so landscapes and seascapes look more vivid. Faces look better, too, with faithfully reproduced skin tones. Motionflow ensures smooth, clear on-screen action, even when viewing 4K content. Extra frames are added to reduce blur while maintaining brightness in fast-moving scenes. Cinema purists can choose True Cinema mode to retain the original 24 fps frame rate of genuine movie projection. The projector’s compact size gives extra flexibility for installing in your home cinema set-up. The projector’s powered zoom lens provides maximum flexibility for home installations, including high ceiling mounting. After extended operating periods, colour can be automatically calibrated to the original factory conditions.There’s no need for extra calibration equipment or cameras; a built-in colour sensor stores all the necessary information. Both HDMI inputs are compatible with HDCP 2.2, the latest content protection standard. Whisper-quiet 24dB fan noise* minimises disturbance for your audience. *Dependent on environment and operating conditions. The projector’s built-in RF transmitter synchronises with most of the RF 3D glasses in the market for wider coverage and greater stability, so there’s no need for an external transmitter.